Accurately monitoring and analysing the quality and levels of water in rivers, streams and catchments are proactive environmental practices. Informative and real-time data help predict and prepare for the arrival of environmental disasters such as flooding, droughts, or other catastrophic events due to climate change or human activities. Thermo Fisher Scientific offers a wide variety of measuring instrument and custom systems for ambient surface water quality monitoring, spot sampling and real-time data collection that are ideal to be included in any surface water monitoring program. FTS Bubbler is the first constant flow bubbler with revolutionary airflow system eliminates traditional manifold congestion remove the weakest link in traditional bubblers. This means less inequality improved reliability and over lifetime cost. Measure pH, ion concentration, conductivity, dissolved oxygen, and temperature with a single, powerful meter. Economical and secure telemetry systems offer users real-time data from remote sites. Having the convenience of receiving automatic data log uploads to your email or FTP site at customised intervals. Versatile telescopic sampling systems with interchangeable sample containers and holders. Effective storm water systems to monitor and control pollutants in waterways due to storm events. From data collection to data management, Thermo Fisher Scientific offers customisable storm water monitoring solutions suitable for every site specification. Portable flow monitors provide an easy and convenient solution for measuring flows in open channels and partially filled pipes. 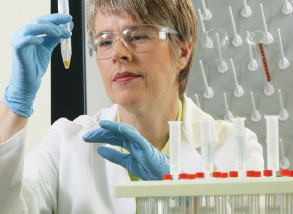 Our range includes probes, gauges and ecologically-safe dyes. Smart packaged fixed flow monitoring solutions, with optional additional integration of a range of environmental sensors for the environmental, industrial, stormwater and wastewater industries. From advanced aquifer characterisation to economical data collection, the In-Situ Level TROLL® series of level/pressure instruments yields accurate measurements and offers powerful data logging and flexible communications. You'll find an instrument suited to your application and budget. Portable and light weight, these peristaltic pumps are designed to withstand even the most demanding work conditions. Versatile telescopic sampling system with exchangeable tools for a wide range of applications. The tools (angular beaker, pendulum beaker, and bottle holder) are attached to the rod by a practical snap-in joint. Ideal for sampling safely from open water such as rivers, streams and reservoirs. Sampling depths of up to 4.5m can be reached with the adjustable telescopic aluminium rod.